Gorgeous Two Tone Long Curly Wig Covers down to Just Below the Bust. 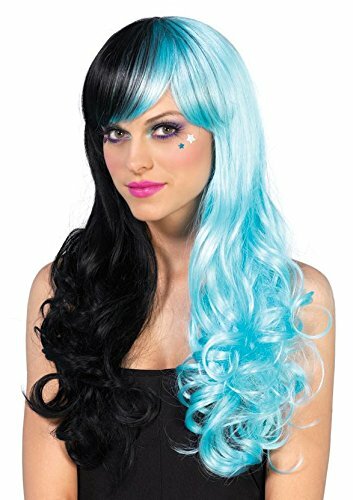 An Elastic Lining Makes this Wig Fit all Head Sizes. Lovely Soft Feel and Gives a Natural Look. Perfect for Fancy Dress/Theme Parties, Raves, Concerts and other Occasions. Comes with a Protective Net for Storage Between Uses. Quality and Speedy Delivery is Assured.